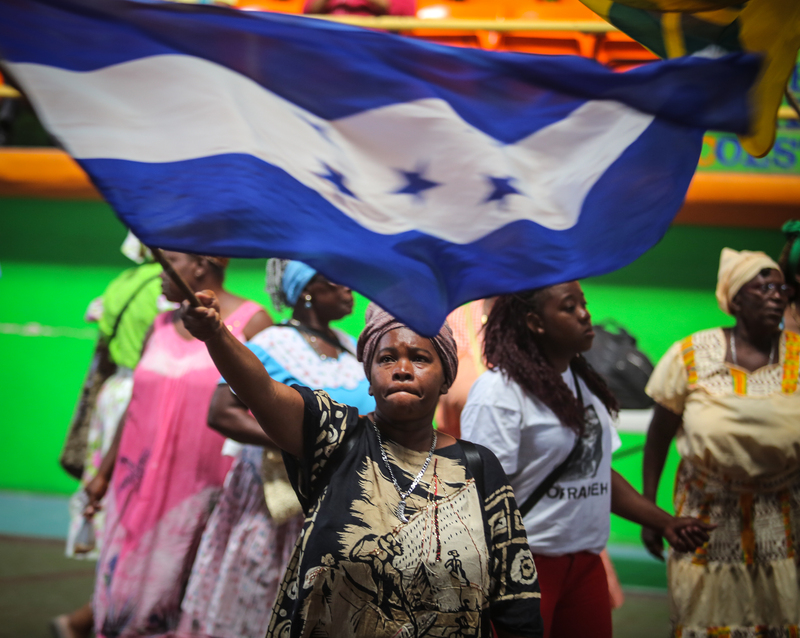 A Honduran civil society-led report reveals that the country’s national policies conflict with the enjoyment of economic, social and cultural rights and leave human rights defenders extremely vulnerable to criminalization and attacks. Ahead of the 58th session of the Committee on Economic, Social and Cultural Rights (CESCR) kicking off today, the UPR Platform (Plataforma EPU in Spanish), has presented an alternative report to the State report of Honduras for review by the Committee. The findings point to existing economic policy and extractive development models that hinder the enjoyment of human rights, including the right to food and nutrition; appalling criminalization of human rights defenders; as well as inequality and violence vis-à-vis women and girls. All this happens within a context of extreme poverty and imbalanced wealth distribution that leads many to go malnourished. According to the alternative report, projects are awarded without prior, free and informed consent of affected communities, including on indigenous and ancestral territories, in contravention of the International Labor Organization (ILO) Convention 169. According to the report numerous concessions have been granted to hydroelectric and mining projects in areas which indigenous peoples consider sacred or vital to ensure the subsistence of local communities. Peasant communities suffer a similar fate, increasingly facing forced evictions. The agrarian conflict of Bajo Aguán exemplifies this situation: For more than a decade, various peasant communities have been struggling to access and recover lands irregularly acquired by landowners. Such trends show a development model that hinders the enjoyment of human rights. These also demonstrate the violence, intimidation and criminalization that human rights defenders are likely to face. As a matter of fact, those who defend the environment, land and food and nutrition rights are often criminalized and harassed. This was illustrated with the recent murder of Berta Cáceres, a recognized Lenca indigenous leader, defender of human rights and general coordinator of the Civic Council of Popular and Indigenous Organizations of Honduras (COPINH), on March 2 this year. Unfortunately, this is not an isolated case given that Honduras is one of the most dangerous places in the world for human rights defenders. “This demonstrates that the mechanisms available in Honduras for their protection do not suffice. The overwhelming majority of the cases go unpunished,” the report reads. Inequality vis-à-vis and violence against women is systematic and structural, preventing them from exercising their civil, political, economic, social and cultural rights and the enjoyment of a life of dignity. “The climate of fear in both the public and private sphere, and the lack of accountability for human rights violations against women is the rule, not the exception,” the report states. And all this evolves against a backdrop of extremely high poverty levels and unequal wealth distribution, with a serious impact on the right to food and nutrition of Hondurans. It is estimated that 12.1% of the population are undernourished and 1.4%, 5%, 10% and 31% of children under five years old suffer from acute malnutrition, obesity, global malnutrition and stunting, respectively. This is particularly felt by most marginalized groups, such as indigenous communities, where 95% of population under the age of 14 suffer from malnutrition. In cooperation with other organizations, Peace Brigades International, International Platform against Impunity and FIAN International are organizing a round table on the implementation of measures and mechanisms for the protection of economic, social and cultural rights defenders in Honduras. The event will take place in Geneva on June 6 at 18:30. You can find more information here. FIAN International will also organize an event entitled Who is accountable for hunger? on June 8 at 18:00, which will look into the realization of the right to food and nutrition in Burkina Faso, Honduras and Sweden. You can find more info here. The report was prepared within the framework of the UPR Platform, which comprises 54 social movements, development and human rights organizations in Honduras. FIAN Honduras, EMIH (Equipo de Monitoreo Independiente de Honduras), Foro de Mujeres por la Vida, Asociación LGTB Arcoiris de Honduras, and Movimiento Amplio por la Dignidad y la Justicia (MADJ) contributed with inputs on various rights. The UPR Platform was established in 2014 with the aim of articulating the advocacy work of civil society organizations of Honduras for the second UPR of the State of Honduras before the United Nations Humans Rights Council. Since this process, however, it has remained as a space for articulation.